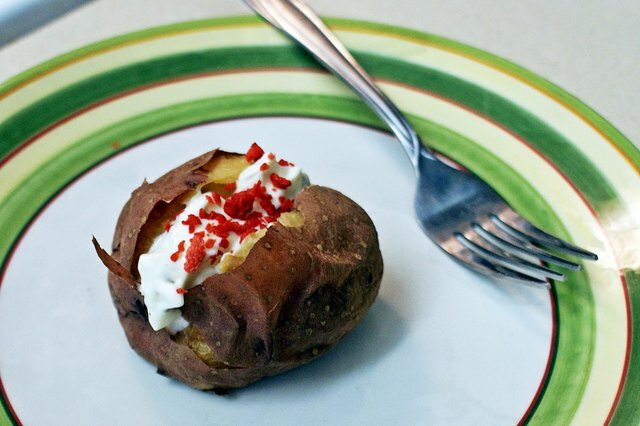 Baked potatoes, whether baked once or "twice-baked," are comfort food and a great accompaniment to almost any meal. 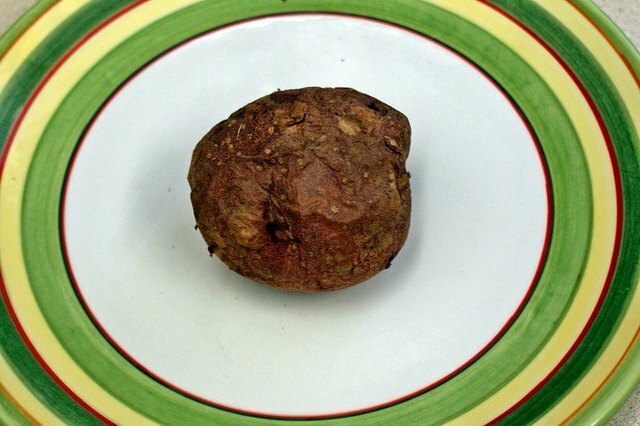 Indeed, baked potatoes are often a meal all by themselves. When you make too many baked potatoes, it's easy to reheat them and have them again. 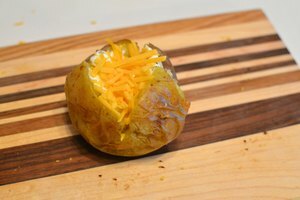 Place your baked potatoes, unwrapped -- not in foil or plastic -- on a cookie or other baking sheet. It is not necessary to grease the pan, but if your potatoes have toppings in them already, such as cheese, you may want to spray the baking sheet with oil spray or line it with foil or parchment paper. 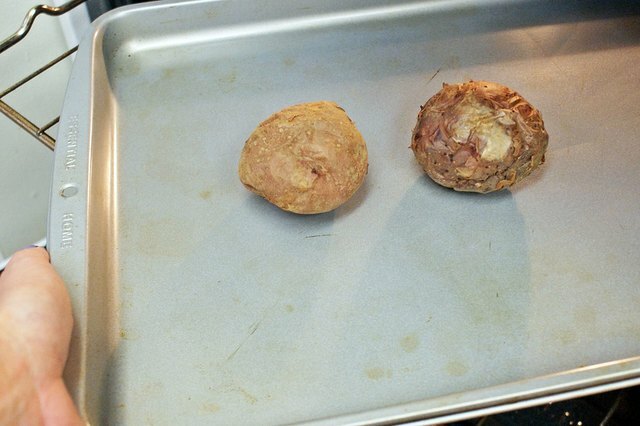 If your potatoes are still whole and uncut, reheat them directly on your oven rack. 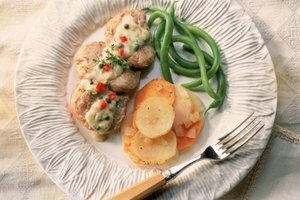 Place the potatoes in your preheated oven and leave them for about 20 minutes. 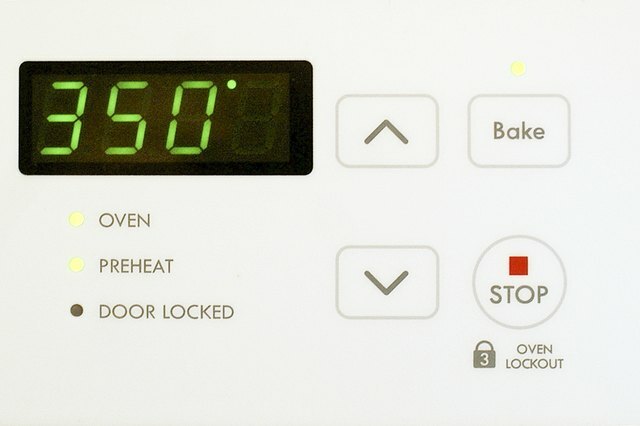 Baked potatoes that have been frozen will take longer. 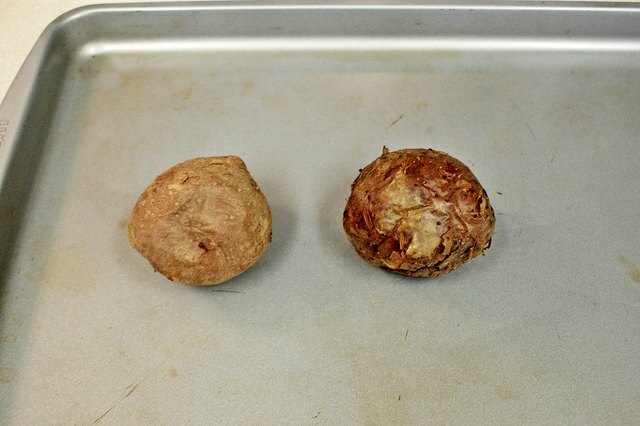 Potatoes should be more than 140 degrees Fahrenheit when removed from the oven to make sure they are safe from bacteria, according to the King County Department of Public Health. 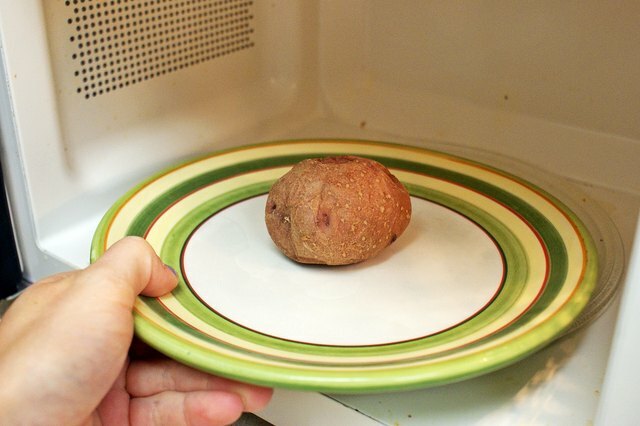 To save time, reheat the potatoes in the microwave. 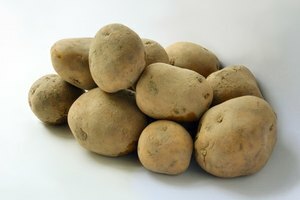 Place the potatoes on a plate and heat them on high for several minutes. 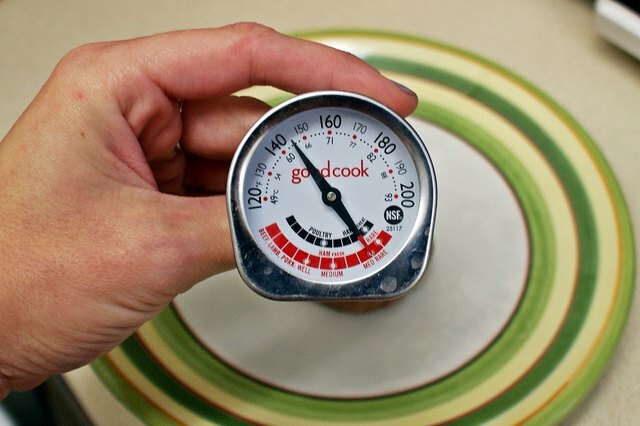 Check the potatoes' internal temperature with a cooking thermometer before eating. Be sure the temperature is at least 140 degrees Fahrenheit before eating them.